Stand out from the crowd in this stunning black and champagne sequins jumpsuit. This sequin jumpsuit with a plunging v neckline design is perfect for any party.The stunning sequins and embroidery will definitely make you stand out from the crowd. 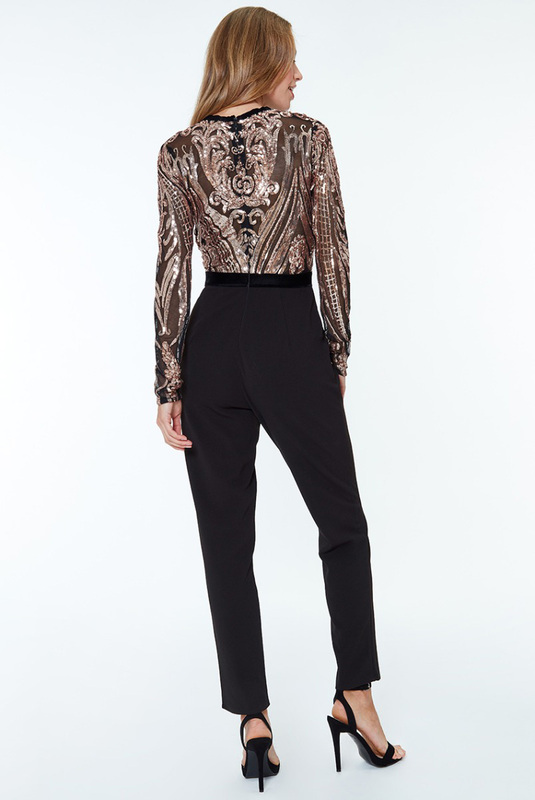 The gorgeous sheer longs sleeves and sheer back and tapered fitted leg will make you feel chic and confident. And best of all, it has pockets! We are obsessed with anything that has pockets!